Southern Indiana is an oasis free from Lyme disease, the condition most associated with the arachnids that are the second most common parasitic disease vector on Earth. But there are signs that this low-risk environment is changing, both in Indiana and in other regions of the U.S, says Indiana University biology professor Keith Clay. Lyme disease has been detected just a few hours north of the region around Tippecanoe River State Park and Lake Michigan's Indiana Dunes, and Clay said the signs are there that new tick species, and possibly the pathogens they carry, are entering the area. "Just in the past 10 years, we're seeing things shift considerably," Clay said. "You used to never see lone star ticks in Indiana; now they're very common. In 10 years, we're likely to see the Gulf Coast tick here, too. There are several theories for why this is happening, but the big one is climate change." The exact cause of the shifting borders and changing disease risks is not clear. Climate change is the default blame for everything, but there are also changes in animal populations like deer, which provide large, mobile hosts for the parasites. Defining these boundaries is critical due to ticks' status as the most important vector for infectious disease in the U.S. In addition to Lyme disease, ticks are responsible for Rocky Mountain spotted fever, southern tick-associated rash illness and a number of other serious diseases. Other conditions, such as mammalian meat allergy, caused by lone star tick bites, are caused by an immune response to proteins in tick saliva. Mammalian meat allergy sufferers experience serious allergic reaction to consuming meat and sometimes other products from mammals. "Ticks play the same role in temperate climates that mosquitoes play in the tropics," Clay said. "Fortunately for us, ticks can't fly ... although they can catch a ride on birds." But the similarities between ticks and mosquitos, which are the No. 1 vector in the world for parasitic diseases, aren't limited to their both causing disease by transmitting pathogens when they latch on to their host to feed on blood. They are also linked by how the relationship between parasites and other less harmful microorganisms in their systems might be exploited to protect humans against future infection. 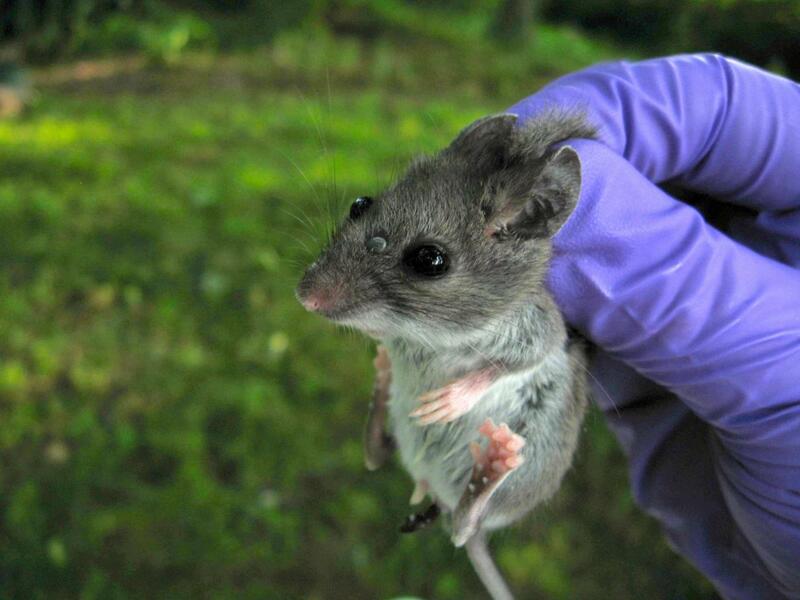 In a paper published in the May issue of the journal Molecular Ecology, Evelyn Rynkiewicz, a former IU doctoral student in Clay's lab and current postdoctoral research fellow at the University of Edinburgh, cataloged the microbiome of two major tick species in southern Indiana -- dog ticks and black-legged deer ticks -- and of the blood of white-footed mice, the host animal from which the ticks were collected. A microbiome is the unique microbial community that resides inside a living organism, and by using high-throughput gene sequencing, researchers can identify all the bacteria that comprise the microbiome of a species. Rynkiewicz's study identified all the major pathogens and symbionts (microorganisms not known to cause disease) residing in the tick's body. "Understanding the tick's microbiome is really laying the foundation for future research," Rynkiewicz said. "There are groups working right now on introducing symbionts into mosquitoes' microbiome to block or reduce the number of pathogens in their systems that affect humans. One day we may be able to do the same with ticks." Another example is the attempt to prevent Chagas disease -- a life-threatening tropical illness affecting millions worldwide -- by genetically modifying a gut symbiont in their insect vector, the "kissing bug," that suppresses the effect of the parasite that causes the disease. The naturally occurring proximity of harmful pathogens and harmless symbionts in a tick's system could also give rise to new dangers for humans, so it is important to understand the full gamut of microorganisms in their systems. "Symbionts, which are transmitted from the mother when eggs are laid, are typically found in the ovaries or the gut, while pathogens, which are transmitted during feeding, are found in the salivary glands," Rynkiewicz said. "But in some of our other research, we've found symbionts in ticks' salivary glands, meaning they could potentially be transmitted through bites. "Whenever you're introducing a new microorganism into a new system, such as a human, you've got the potential to create new pathogens, even when they're previously considered harmless, depending on adaptability."